Since this guide is MoP oriented, and the MoP DB is still not live, will you guys be putting in a line at the top that asks people to view the guide at http://mop.wowhead.com? Also, you can put the code at the top of your post to allow all the links to work when viewing the guide from http://www.wowhead.com. 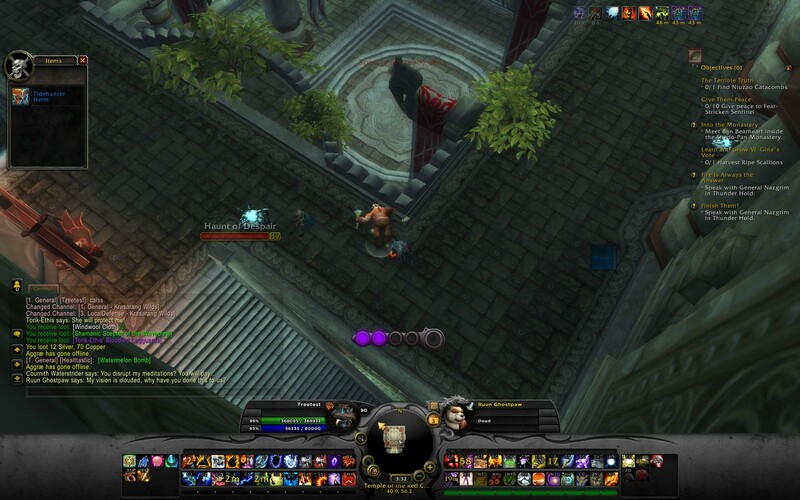 Unfortunately the maps will not work unless you are viewing the guide from the MoP side of Wowhead. Will Approve when you are ready. Didn't I just approve a guide almost identical to this yesterday? I cannot find it anymore. This one doesn't even have the images and such that the one from yesterday had. Perhaps I'm losing my mind. Great guide plenty of information and I really like the lots of neat items blizz has added into the game for MoP. Also wondering why none of the rare mobs in krasarang wilds don't drop any of the specific items (e.g. Graine de croissance tranquille ) that all the other mobs seem to drop. I am quite curious of those two epic bags. What exactly makes them epic ? Hope they will be "worthy" of it. Amazing guide, Lore. I have bookmarked it, so I can hunt down them in downtime after MoP hits live :D Thank you very much. Nice compilation of information. Its readability needs improvement, though, which is why I rated 4 out of 5 stars. Lore, you are amazing. Thank you so much for this guide! My only suggestion is to add hyperlinks to the Wowhead pages for each of the rare mobs, so that it's easier to get the NPC ID for npcscan. And another rare guide added to my favorites list. Any idea what rares could be tamed by hunters yet? 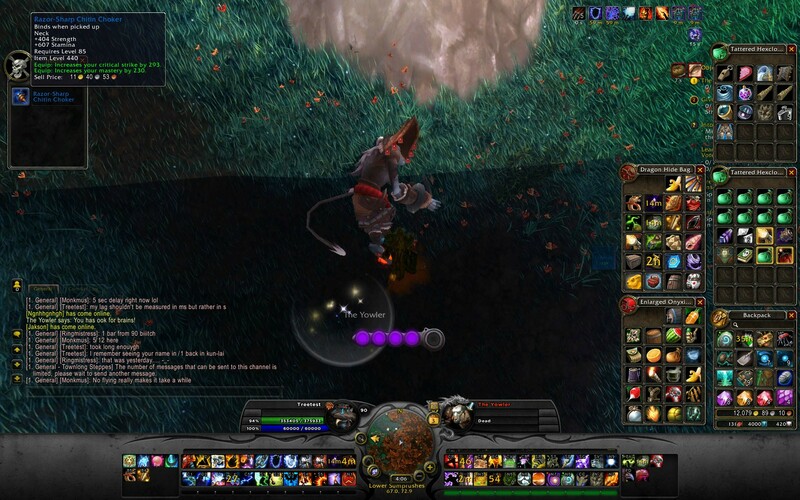 On another note, all the loot from the Jade Forest rares includes an epic weapon, and blue legs, plus the bag. The epic is ilvl 420 whereas the legs are ilvl 400. With this new build, all loot has changed, so all bets are off. I can confirm that there have been some changes with how rares work in the most recent patch. For one thing, Krasarang rares are starting to get unique loot. Torik-Ethis dropped a pair of BoE ilevel 440 pants called "Torik-Ethis' Bloodied Legguards." My guess is that just as the Jade Forest drops weapons, this zone will drop armor. Not all rares drop epic armor, though. 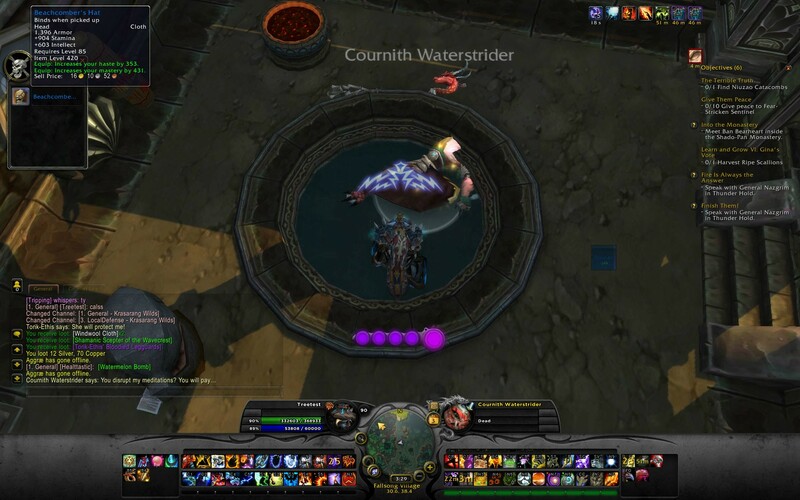 Both Courinth Waterstrider and Ruun Ghostpaw still dropped the typical blue armor. Ruun Ghostpaw now resides on the top floor of the Temple of the Red Crane, instead of in the center of the ground level. Other rares may have been moved as well; it's hard to know if I'm not finding many because others have killed them or because they have been moved somewhere else. As you may have noticed from the above screenshots, most rares no longer drop those green Petit sac de marchandises. They're openable, though. I opened a few of the ones I have stockpiled up and all of them said "There is no loot" but on the item's page somebody mentioned finding some crafting materials, so I don't know what to make of it. On a related note, Townlong Steppes just got much more boring. It appears that rares no longer drop bags, nor any other unique loot. I had all eight bags stockpiled in my bank from when I got Glorious pre-patch, and while all of them are openable now, none have any loot. All in all it seems like they have a ways to go regarding rare loot. In a perfect world every rare would drop a little trinket like the ones from Valley, Kun-Lai, Dread Wastes, and Vale, but that would understandably be a bit much. I just hope they do something about the rares that still drop nothing but a weak blue. EDIT: Just killed Krax'ik in the Jade Forest and received no epic D: Maybe epics are just a low chance now, or maybe they just removed it entirely. EDIT #2: I just deleted my Kang's Bindstone (it's unique) and killed Kang once again to see if he still drops it. Short answer: He doesn't. Long answer: Noooooooooooooooooooooooooooooooooooooooooooooooo my bindstone! I guess they removed fun things from rare loot tables? When were these drops implemented? I've killed 5 of these rare spawns and they did not drop any of these. I got 4 blue plate pieces and one blue cloth piece. This is a really nice guide. I noticed that the beginning of your guide has a gigantic link to a MoP database version of your guide, but you can get rid of that ugly thing (if you want) by adding \ anywhere in your guide. I know the database will be moving to a "live" version very soon so this is entirely optional, but I thought it would be nice to know so that people can have instant access to tooltips and such. Edit: May I request that you link each NPC in the large table of each individual rare? I only ask this because certain NPCs will have a rather high difficulty level depending on your gear, spec and class and the NPC's level. The map has Damlak and Kishak swapped. When you kill your first one you will get Troubles from Without that tells you about the others and where to find them. Damlak - Casts multiple shadow based spells, ex: shadowbolt, Curse of Doom, Curse of Agony. 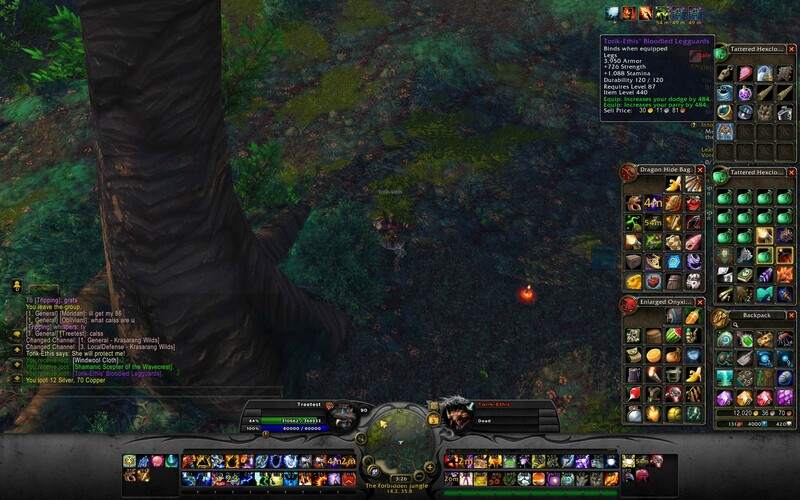 Clamstok - Casts Slam and his melee attack hits for 15-20k on mail. Odd'nirok - Chain casts Waterbolt, does ~30k frost damage. Kishak - Uses Blessing of Kings, Bloodlust. Odd'nirok - Interrupt his cast when you can, but he is immune to lockouts, so it is a dps race. 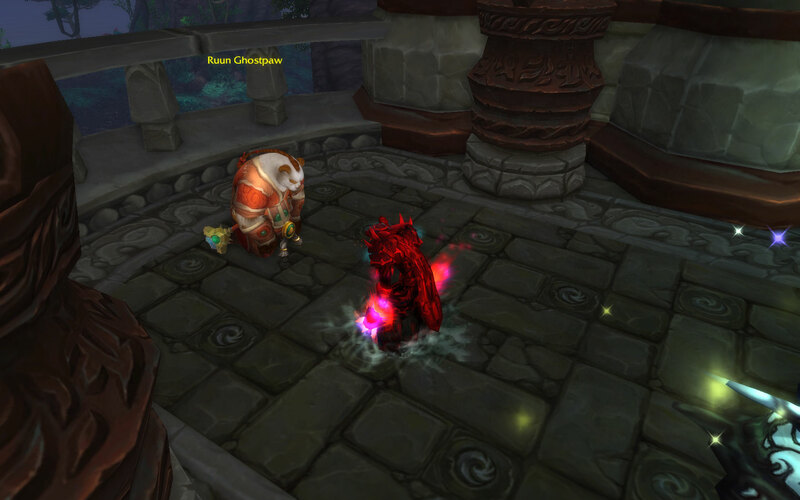 Kishak - Another dps race, dispel his bloodlust if you can, dispelling BoK is pointless it is automatically reapplied. For Clawlord Kril'mandar if you bring a friend you should be able to just burst him down. He drops Lobstmourne which is currently able to be used in either hand (even though the wowhead viewer shows it as bugged, it works properly in game). ]Moldo One-Eye <--- small typo there. Was going to ask for, but I see you are already on plan to add their normal blues aswell, I gues they all should be in line of the ID, at least Jade Forest ones are all from 87586 to 87594. Ferdinand from Jade Forest is indeed drops Masse brise-ouk. Plus into "rare elite by class" you may add links to all representatives of each tab's class. This guide is amazing, though it would be nice to have some links to the additional Elites. Very helpful guide. The map is missing Sulik'Shor in Valley of the Four Winds, though. Alright, so I am currently working on this achievement, quite successfully. By far, this has been the easiest rare spawn farm. Unfortunately, I fear this achievement may be WAY too easy. On this day, (10/2/12) I've found the following rare spawns TWICE between 11:30 PM (PST) and 2:21 AM (PST) (10/3/12) Either as corpses, some personally killed twice. Karr the Darkener, Bonobos, Nalash Verdantis, Spriggin, Yul Wildpaw, Dak the Breaker, Krol the Blade, Salyin Waterscout, and Gaarn the Toxic. That's correct, in less than 3 hours... Those rares ALL spawned TWICE. Server: Aggramar, no maintenance... no reset. I believe that every rare is linked to their own coresponding type of npc. They dont have individual spawn timer like rares in previous expansions. There is one of each type in every zone(8 rares per zone, 7 zone = 56 rares). When you kill certain rare, the next random of its type spawns in some zone. Also they all spawn in the same next zone(or they follow the same pattern). 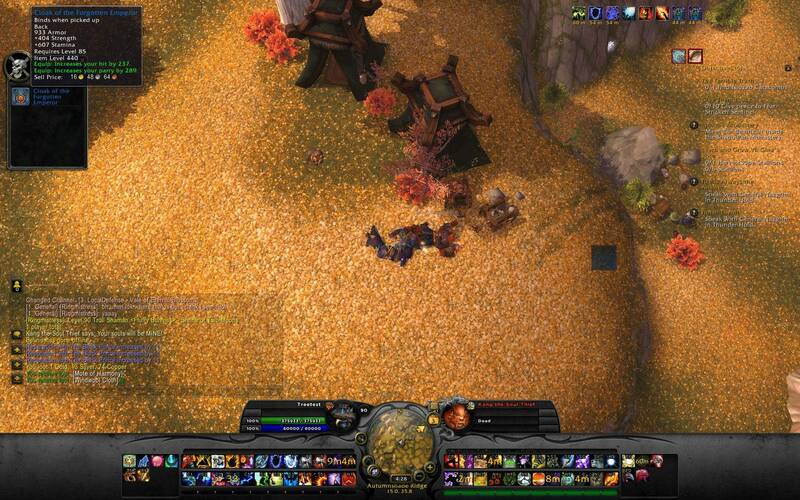 I am on a server that has low population over the night and I have farmed these zone after zone and when I skipped one on purpose as I already had him in my achievement, in the next zone every single npc spawned except the type of the mob I didn't kill. After I went back and finished the job, next one spawned in the zone I couldn't find it. If you kill The Yowler, you can expect that Bonobos, Ik-Ik the Nimble, Major Nanners, Mister Ferocious, Scritch or Spriggin will spawn very soon. An important note regarding the abilities that are recommended to be stunned: stunning the mob during the cast time will only delay the cast. As soon as the stun wears off, they will just cast it again. You need to wait until the mob begins the channeled portion of the spell to stun them in order to stop the ability completely. Just a note for people wondering, like I did, prior to reaching Glorious! : any rares killed along the way will be counted and credited automatically when you complete Could We Find More Like That? and move on to Glorious! Fun fact: All three of the achievement names are quotes from Diablo 3's Templar follower (specifically, it's things he can say after you kill an elite mob with him). Lore, this is an amazing guide. I have only one thing to add. You seem to have forgotten to include Sulik'shor's spawn point! He spawns in the Valley of the Four Winds at 37.0, 25.6. I'm sure adding him in would help a few rare hunters! Cheers on a great guide! I only wish that Victoire ! worked across all characters, so that if one character kills a rare mob it would count towards the achievement for all, rather than having to do them all on one character. I've been soloing the rares in townlong stepps on my fury warrior every day and the last 2 days the blue big bags hasn't drop at all at the rate it used to. Killed about 20+ rares i would say in the zone and only 1 enchanting big bag dropped. I'm currently working on Could We Find More Like That? I'm trying to find a list that correlates champions of specific races with their locations. Unfortunately, all I can find are champions by location, or champions by race - no easy way to cross-reference. Just wanted to say thank you for this awesome guide! it has helped me so much getting a ton of the cool vanity items. I know he is not a part of Glorious, but if people want the Collier d'amis pour la vie, enter the cave that Yul Wildpaw stands outside of in Townlong. Fight your way to the back of the cave and take the ramp up towards the end. A Neutral mob named Cajolin le Gardien des cœurs will be here. He has roughly 4 million HP but isn't a very hard fight. Duo'd with a Destro Lock and Ele Shaman, and I'm pretty sure either one of us could have soloed him. It seems that some rares in a single zone share a specific type of item as their special loot. Townlong Steppes - Bags of Items. Valley of Four Winds - Items and Trinkets that benefit you in battle. Vale - A bunch of vanity and fun items. Kun-Lai Summit - An assortment of vanity items, vanity trinkets, reputation increase, ect. Dread Wastes - Mostly items only useable in Pandaria; among vanity items and other things. 6 of the 8 rares in a zone all spawn at the same time, which 6 spawn is random. Each zone is on its own timer, but all the rares in a given zone are on the same timer. If a rare isn't one of the 6 picked randomly, it won't have a chance to spawn until the next wave of 6. Anyone else's observations agree or disagree with this? All rares in a zone spawn at the same time. The respawn time (1 hour) for ALL of the rares does not start until every rare in the zone is killed. Between 1 and 2 rares in a zone can will occasionally skip a spawn cycle and will not spawn with the rest of the rares in the zone. If you have six rares in a zone (Rare A, Rare B, Rare C, Rare D, Rare E, and Rare F) none of them will respawn until they are all killed and they will respawn 1 hour after the last one is killed. This is why it APPEARS that they individually have a 1-2 hour respawn time but some people report that it can take up to three or even four hours. They will all respawn at approximately 11:45am. Now there easily could be a +/- 30 minute factor in the code. Blizzard usually adds some form of RNG to this type of spawning so it wouldn't surpise me if there was such a mechanic in this as well. Best advice that I can give anyone camping Sulik is to go around the zone and make sure all the other rares are killed quickly once he spawns so that his spawn will reset asap. If you have information relating to spawn times with regard to killing and not killing other rares in the zone please respond so that we can refine this post. Rarespawns spawn in ZONE WIDE waves. Between FIVE and EIGHT rarespawns can spawn in EACH wave (a rarespawn skipping a wave is what results in a seemingly longer spawn timer). The timer for respawn begins not when the first rarespawn is killed, but the last (check your zones, people, if you're hunting specific ones). There is, as is typical with Blizzard, a small RNG component to the respawn timer. So far it seems to be a minimum of FIFTY MINUTES. Empty night in Townlong Steppes, and I manage to kill seven of the eight rarespawns in the zone, while noticing that the eighth is also up. I leave the last one (Norlaxx) up for FOURTY minutes beyond the time the first (Lon the Bull) was killed. After killing Norlaxx, I was pretty confident in the theory and took off to Kun'lai to hunt rares there (where people had neglected to kill Ahone, Nessos, Ski'thik, and Norlaxx the Outcast). After clearing them out, I returned to Lon's spawn point and hopped between his and Kah'tir's spawns until sixty one minutes had elapsed from the time Norlaxx died, at which point EVERY rare in the zone respawned. After clearing those out, I went back to Kun'lai and found that the rarespawns there had repopped; 50 minutes after my last kill. All rarespawns were up except for Nessos the Oracle. I followed that up with Jade Forest, where I found five of the eight possible there. I killed time in other zones, making it back to Townlong at the 52 minute mark, where Lon the Bull (and his seven friends!) had already respawned. Now, this doesn't confirm the five to eight spawn, but I also don't believe Townlong Steppes follows that same pattern due to the nature of the rare drops from the rare mobs in that zone (they're pretty much always useful, whereas the vanity items are unique). That's something that will warrant further testing, which I'll work on whenever I can find the zones empty enough again. Thanks for this guide it's fantastic! I have another elite to add to your Additional Elites section. Your work is amazing, thank you so much. If you use add-ons NPCscan and want to delete creaturecache.wdb files without to go into folder every time to delete this you can easy make a .bat files on your desktop or any place you want. Worked fine for me, i use this every time before i start up WoW game. Only Lon the Bull bucks the trend by being 88 in Townlong Steppes. Eternal Blossoms = back (440). There are 8 types of champion - one of each in each zone - for 7 examples of each type. This makes a total of 56 champions to defeat (and loot). A couple of errors: Cournith Court-sur-l’Eau seems to be missing from your big loot list (now fixed); and Cuissards dorés de Torik-Ethis doesn't seem to drop from Torik-Ethis, but rather from the Big Bags dropped by Norlaxx and Kah’tir (see page). Also, it might be nice to turn the names of the other 'rare elites' into links as well, to make them easier to search. Finally, none of the champions (those involved in the achievements) are actually elite - just rares. i wont say much but the answer to all our questions is here.solved all my probs and made my time playing much more enjoyable as i dont have tons of free time. The #1Guide. Covering leveling,dailies,professions,achievements & everything you need.check by yourself. One more for the "Additional Elites" - Scotty Level 89 Elite in Townlong Steppes drops Pièce porte-bonheur de Scotty. A little anecdotal evidence to support Saldar's theory of the shared re-spawn. I was camping Sulik'shor today on my very very very low population realm (/who'd 2 other people in the zone). I had read the theory about the shared respawns and thought it might be a good time to test it. I did a circuit around the zone twice and checked all the spawns in the valley. None of the rares were up, so I went back to floating over Sulik. After he spawned and I killed him I did another circuit of the zone, and all of them had spawned. Obviously this is very difficult to prove, but for the valley at least, I'm starting to think he is right. This is probably my most frequently visited guide. It has helped me find all of the wanderers I've killed. This is a truly fantastic guide, and has helped me figure out a rare spawn "shopping list" for the items I want most. Thank you! However, you are missing Gokk'lok (27.4, 16.2 in Dread Wastes) from the list of non-rares that give vanity items. Might want to include him, as he "drops" a quest that will give you Gokk'lok's Shell. "Can we find more like that?" Awesome guide! Thank you for taking the time to make this, it's very helpful. I like that you added the additional elites, I collect goofy items and enjoy the hunt! I'm not sure if these count, but there are also two non-elite rares in Valley of the Four Winds (which do not count towards the Glorious! achievement, but their items count towards the Lost and Found achievement). On the flip side, this guide is great as i've been hunting the elites like crazy. Thanks! This is one of the most epic and helpful guide there is on Wowhead. And I can tell you know your stuff. The Warscouts are mounted on Direhorns and will remain fixed at their spawn point. The Warscouts however will start to move off on long specific patrols once they spawn. These patrol routes can take them anywhere up to a mile from their original spawn position. Seems a tad confusing to me. Very nice guide, thx much. Does anyone else get enjoyment of watching a rare being killed by the opposing faction, say for example.. Scritch, and seeing them wipe, and being able to go in there right after and clean up the kill. I love this guide, and even tho I know where, pretty much all the rares spawn, I still find myself referring back to it to see maybe what a rare I'm about to kill could yield, or just to remind myself exactly where that elusive rare could actually be. Thank you for all the effort you have put into this guide! Very well written and easy to follow. Good job! This is amazing! Thank you so much for always updating this and for investigating everything on the 5.2 PTR! Edit: You may want to point out that some 5.2 rares aren't accessible until you've completed certain Isle of Thunder stages. i've found using /cast !Eagle Eye on the hill with Progenitus excellent for scouting Haywire, Skyclaw, Ra'sha, Mumta and Goda.. one big advantage of this in regards to the first 3 is you should be able to make the leap in saurok form without taking damage, i am just guessing tho as i tend to use my chute..
Goda can be a bit tricky to find but once you do this makes life a lot easier.. i've had no luck seeing Al'tabim, so if anyone with a decent pc can verify if you can view that far would be awsome..
Willy Wilder rare which spawns on the veiled stair and drops a brawers invite 100%. Great job getting the 5.4 NPCs in, we should have all the rare spawn NPC data processed this week. Cranegnasher--tiger that spawns to the east of Pi'jiu Village, by the mauled crane. I noticed a minor issue with the map pins for 5.4 elites that have multiple locations. It seems that different IDs are used for locations, which isn't the case. For example, clicking on one of the pins intended for Pincépine monstrueux (73166) took me instead to Huolon (73167). This affects both the map with all elite pins, and the two maps under the toggle that split things up more. Thanks again for your awesome guide! First of all: awesome guide. Very helpful while I was putting together a wishlist. Where the hell do I go to tell Blizzard to go %^&* themselves, for their rare item drops? Seriously, I have killed hundreds on my various toons, and NOT ONCE, even when said toon is able, has the mob dropped anything usable. Every. ^&*!ing. Time. It's some misc blue my char can't use, so must sell. EVERY. MOTHER!@#$ING. TIME! What, the $%^&ING ^&*! Do you have to be level 90 to open the Timeless Isle Chests? Or do you need a special item or quest? I can't open the 6 weekly respawning chest with my lvl 87 Undead Mage. Why are you calling every rare "rare elite"? Because they're not. What makes you so sure that the spawnpoint of Ironfur Steelhorn is the same as ONLY the Ironfur Bulls? The link you posted to that rare mob is full of argument and disagreement on that issue. If you would please cite to a source. It's important to know that an NPC spawns another. If THREE NPC's spawn one, this would differ greatly from what you said. And some have said that it's purely random. Awesome guide! This Site is all I need for everything wow related Thank you! The Vale of Eternal Blossoms is missing the mobs once part of Une armée toute-puissante which are now classified as rares and drop Trésors du Val, Vinaigre balsamique vieilli, Fromage mogu'shan affiné, Épices pandarènes antiques. Also, the location of Sahn Chasse Marée has been changed. What a fantastic guide! The section on how to obtain Deuillepince helped out immensely! Took me close to an hour to find him even with the coords 21.78, 46.37. To get to him you have to go behind the building, by the roots of the giant tree. Entrance is at 21.37, 46.81. He spawns in the tiny hut there.